20 something year old Mother of a very energetic 3 y/o. 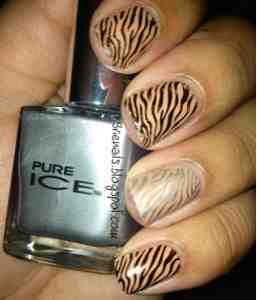 PR,to contact me about reviews, email me at BrieNails @ yahoo . Com. All photos are mine, taken and edited by me unless noted otherwise. Please do not use my photos without my permission, this is stealing. If you to use my photos, please credit them to me. All products have been purchased by me, unless noted otherwise. Thank you for your consideration. Nailed to the T: Nailed to the T 400 Follower Giveaway!!!!! Frozen yogurt! Fro-Jos if you live in or around lexington,ky, I highly recommend it. Brie Nails. Simple theme. Theme images by merrymoonmary. Powered by Blogger.